THE ongoing Rasta City and Muslim gang warfare is being blamed for the shooting of two women and a teenage girl, a US citizen, this morning. According to police, around 8 am, the women and teenager were passengers in a car headed east along the Western Main Road, Carenage, near L'anse Mitan Road, when a gunman came out of a track between L'anse Mitan Road and Smith Hill and opened fire. The male driver was believed to be the target. Kadija Nurse, 17, from Maryland, New York, who was staying in Beetham Gardens, was shot in the left thigh. Afisha Bonaparte, 22, of Bath Street, Port of Spain was shot in the left hand while Elaalyah Richards, 19, from Fifth Street, Beetham Gardens got shot in both legs. The injured were taken to the St James Medical Complex and then transferred to Port of Spain General Hospital where they remain warded in a stable condition. Police said the four were returning home from a party in Chagauramas and it is believed they were marked since then. Police claim the driver is affiliated with members of the Rasta City gang and noted the shooting happened in an area that is said to be controlled by the Muslim gang. Police are to review footage from a CCTV camera attached to a utility pole at the entrance of the track the shooter came out of. 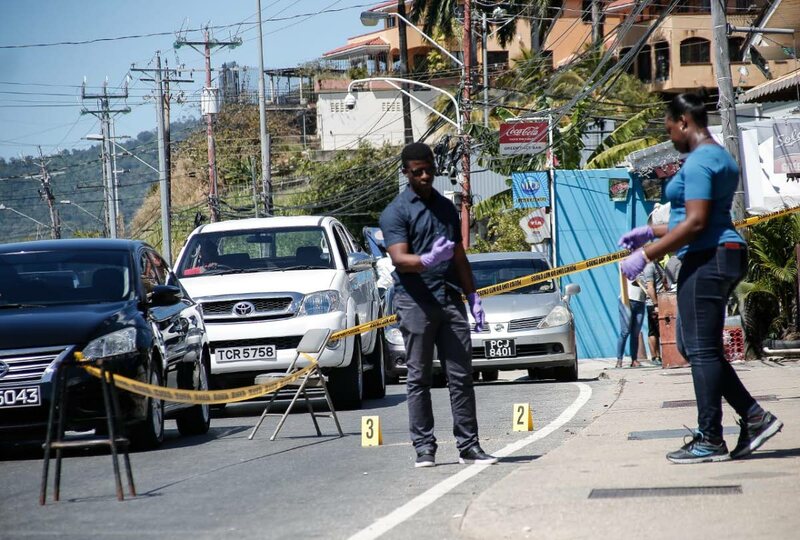 Police said the driver, who has relatives living in Big Yard, Carenage, two blocks away from where the shooting took place, was not co-operating with them. Reply to "US teen among 3 shot in Carenage"